Time and money are two of the most valuable things in your life. A lack of investment in our nation’s infrastructure is costing you both. 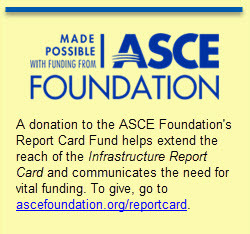 ASCE’s recently released 2017 Infrastructure Report Card graded the nation’s infrastructure with a cumulative D-plus, the same grade issued in the 2013 Report Card. The poor grades are largely attributed to a lack of infrastructure investment. 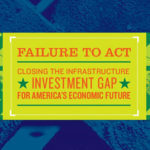 The Report Card suggests that to close the $2 trillion, 10-year infrastructure investment gap, meet future need, and restore our global competitive advantage, we must increase investment from all levels of government and the private sector from 2.5 percent to 3.5 percent of U.S. gross domestic product by 2025. 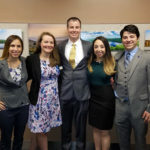 And if each of us spent only about $4 a day per family – the price of a nice cup of coffee – we could improve our quality of life with modern infrastructure and save thousands of dollars – and minutes – each year. 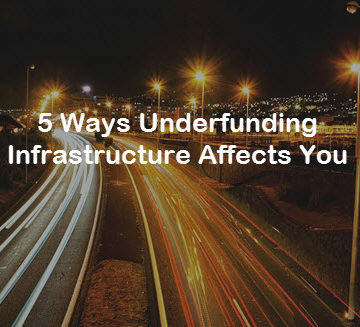 According to ASCE’s 2016 Failure to Act Report, American families lose $3,400 in disposable income each year – or $9 each day – due to infrastructure deficiencies. On top of this, lower incomes are expected because of economic restructuring in the technology/export sectors to address problems caused by poor infrastructure. Deteriorating infrastructure results in businesses becoming more inefficient, and as business productivity falls, workforce cuts inevitably follow. Failure to Act estimates that, if the United States fails to address its infrastructure challenges, 2.5 million American jobs will be lost in 2025. Projections suggest that in 2040, that number could grow to over 5.8 million. Moreover, those who are employed are likely to earn lower wages. American roads are often crowded, frequently in poor condition, chronically underfunded, and are becoming more dangerous. As noted in the Report Card’s section about roads, more than two out of every five miles of America’s urban interstates are congested, and traffic delays cost the country $160 billion in wasted time and fuel in 2014. In 2014, Americans spent 6.9 billion hours delayed in traffic – that’s 42 hours per driver, enough for a week’s vacation from work. In Failure to Act, ASCE found that by 2025, a lack of infrastructure investment will result in nearly $7 trillion in lost business sales. Meanwhile, business costs will continue to rise with extended transportation times in ports, airports, and roads, and if the electricity grid or water delivery systems fail to keep up with demand. Goods will be more expensive to produce and transport to retail shelves, households, and business customers. “Infrastructure is absolutely critical to the ability of manufacturers to compete and succeed, so for every dollar that is invested in manufacturing another $1.81 of economic output occurs from a position of economic strength. 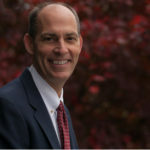 I don’t think we have the option of failing to address our infrastructure challenges,” said Jay Timmons, president and CEO, National Association of Manufacturers, in a video about the Report Card. Our infrastructure is all tied together – underfunding in one area leads to infrastructure issues in all areas. And if the gross domestic product takes a hit, so does your quality of life. “Good infrastructure allows us to be more competitive in the world, and, for example, we know work we’ve done shows that if we don’t have competitive infrastructure it will cost this economy $3.9 trillion in our gross domestic product. That’s the equivalent of the GDP of Germany,” said Greg DiLoreto, P.E., P.L.S., D.WRE, Pres.13.ASCE Chair, ASCE Committee for America’s Infrastructure.